PREDATOR Arnold Schwarzenegger plays Dutch who wages an all-out war against an unseen enemy, a force more powerful and deadly than any on Earth - because it's not of this Earth. When a crack team of commandos undertakes a covert mission in Central America, they have no way of knowing they've wandered into the hunting ground of a creature more powerful than even their fiercest weapons. As they are picked off one by one, each death more horrific than the last, Dutch races against time to defeat an undefeatable enemy! PREDATOR 2 With its nonstop heart-skipping action, featuring special effects so out of this world they have to be seen to be believed, Predator 2 is "relentlessly paced...extremely entertaining" (Daily Variety)! 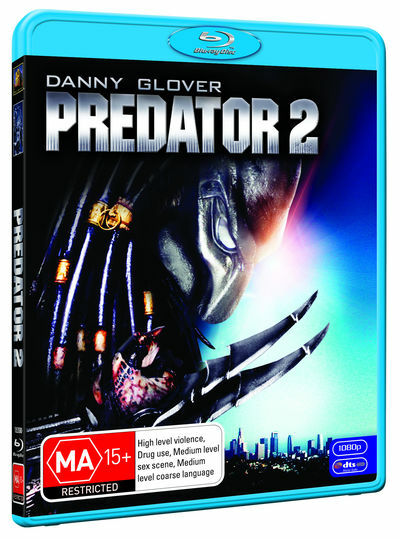 As a heat wave engulfs the city of fallen angels, a gang war between Colombian and Jamaican drug lords spills onto the streets and attracts the attention of the newest alien hunter, pulling LAPD Lieutenant Mike Harrigan (Danny Glover) and his team into an all-out battle across the urban jungle! PREDATORS Robert Rodriguez presents Predators, a bold new chapter in the Predator universe. Adrien Brody stars as Royce, a mercenary who reluctantly leads a group of elite warriors in a mysterious mission on an alien planet. Except for a disgraced physician, they are all cold-blooded killers - mercenaries, mobsters, convicts, and death squad members - human "predators." But when they begin to be systematically hunted and eliminated by an unimaginably horrifying alien, it becomes clear that suddenly, they are the prey!